Aaron’s singing career started at around age 5, performing as part of his primary school choir. As he got older, Aaron joined the school brass band, playing the Euphonium for several years. Once in high school, Aaron dropped the instrument and took up singing again, joining a band with a group of school friends. This experience introduced him to Rhythm & Blues, Swing, & Jazz, which complimented his already growing love of Classic Rock, and Movie Musicals. After high school, Aaron traveled to Singapore, London & New York, visiting and performing on Broadway & The West End as part of the Rock Eisteddfod Challenge Global Promotional Tour. Whilst in London, Aaron sang karaoke for the first, and was instantly hooked! Upon his return, Aaron met a fellow Karaoke Enthusiast, and neighbor, Wayne Parkinson. They soon started hosting karaoke shows, and after building popularity as vocalist in their own right, joined forces with Michelle (Waynes Daughter) to create a vocal trio called “You, Me & Her”. That trio eventually evolved into a Rock N Roll Vocal Group called “The Jumpin’ Jukebox Trio”. 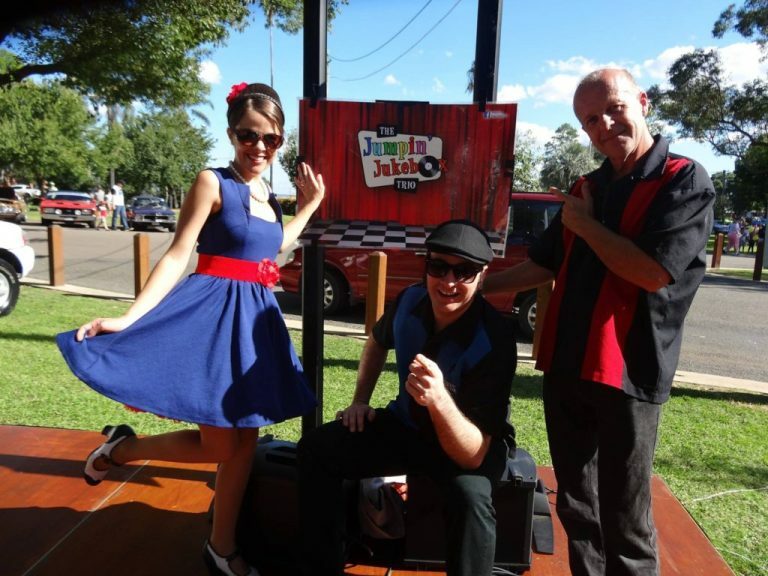 Gathering a large following and performing at clubs, and events around Newcastle, Port Stephens, Great Lakes & Beyond, With over a decade of experience, The Jumpin’ Jukebox Trio continues to enjoy success to this day. Branching out as a solo artist, Aaron ventured to the Parkes Elvis Festival where he met fellow Tribute Artist, (Multi Award Winning) Paul Fenech. This friendship would lead to guest performances on the popular music cruise, Rock The Boat, performances in New Zealand, and subsequently a management and promotional engagement that saw Aaron complete two sell out tours as Roy Orbison, Australia wide. Aaron’s reputation as “The closest voice to Roy Orbison anywhere on the planet” has seen him enjoy further success as a featured artist on Rock The Boat & Cruise N Groove with Royal Caribbean, headline artist for The Parkes Elvis Festival, as well as special guest performances at festivals and corporate events around Australia. 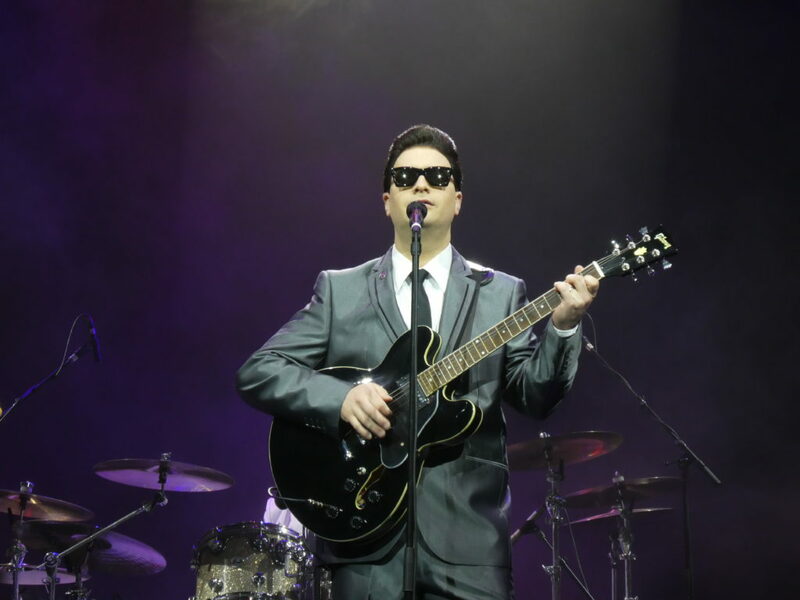 When not performing his tribute to Roy Orbison, Aaron continues to perform as part of The Jumpin’ Jukebox Trio around the Hunter Region, and further enjoys growing success as a respected soloist, performing along the east coast and beyond.